You might have heard people say, “I’m not aging gracefully, I’m going to fight it all the way.” Aging is inevitable, but there is no reason to give into its signs any earlier than you have to. One of the first signs of aging is seen on the surface of your skin. You can arm yourself to fight back against the signs of aging by making use of our 15 home remedies for aging skin. An important home remedy for holding off aging skin includes carrots. Carrots are rich in vitamin A, which is a necessary element in the production of collagen. Collagen helps to prevent wrinkles and sagging skin. Boil three large carrots until they are soft. Place softened carrots into a blender or food processor along with a little bit of honey in order to make a paste. Spread the paste on your face, neck or other affected areas and allow it to dry in place for about 30 minutes or so. Rinse off with warm water. Repeat this 2 to 3 times weekly. In addition, add more raw carrots into your diet as a snack or in salads. Lemon juice is another simple home remedy which works well for getting rid of aging skin. The citric acid in lemon juice is a strong exfoliant, which helps to remove dead skin cells. 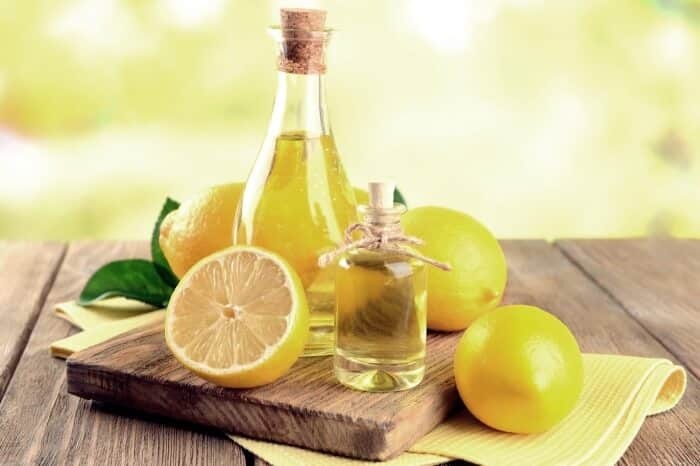 In addition, lemon juice has astringent properties to help fade blemishes, fine lines, and dark circles. Massage the lemon juice into the affected areas, being careful not to get it in your eyes or other tender areas. Leave the lemon juice in place for about 10 minutes before rinsing it off. Repeat this remedy morning and night. It might seem a little bit strange, but water and being properly hydrated is actually one of the most effective aging skin home remedies. Maintaining proper hydration helps your skin remain properly moisturized and your skin will be more elastic. In addition, water helps to cleanse toxins which damage the health of your skin. Drink a full glass of water first thing in the morning before eating or drinking anything else. Drink at least 12 oz. of water every 2 hours throughout the day at minimum. One of the best ways to remain hydrated is to keep a full water bottle in front of you at all times. Aging skin can be kept at bay by making use of pineapple. The enzymes contained in pineapples help to promote the elasticity and increase the moisture of your skin. The bromelain in pineapples is also anti-inflammatory. Cut the husks from a fresh pineapple and rub the fleshy side of the husks against the affected areas of your skin. Allow the juice to dry in place for about 20 minutes before rinsing with warm water. Repeat this treatment 3 to 4 times per week. Also, don’t forget to add plenty of pineapple and freshly extracted pineapple juice to your diet. A home remedy for aging skin that you can’t ignore includes almonds. 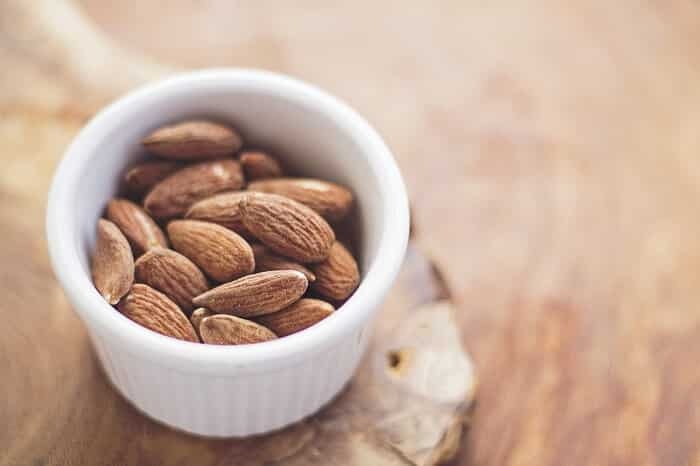 The fiber, vitamin E, zinc, calcium folic acid, iron and oleic acid found in almonds are all essential nutrients in delaying the aging process and maintaining healthy, smooth skin. Soak almonds in milk overnight. The following morning, remove the skin from the outside of the almonds and grind the nuts into a thick paste. Apply the paste to your skin, especially over blemishes, dark circles, and wrinkles. Leave the paste in place for about 30 minutes before rinsing off with warm water. Another great fruit for holding off the advance of aging skin is the banana. The vitamins, minerals and antioxidants found in bananas are essential elements in maintaining skin moisture and elasticity. Mash 2 ripe bananas into a thick paste. Apply the paste to affected areas and allow it to dry in place for about 30 minutes before rinsing off with warm water. Repeat this remedy a couple of times per week. You can do spot treatments of dark circles and blemishes daily by rubbing the moist side of banana peels over the affected areas. An herb found in nearly every kitchen, which is also quite effective as an aging skin home remedy, is ginger. Its high content of antioxidants as well as its anti-inflammatory properties makes ginger an effective means of getting rid of puffiness as well as maintaining skin moisture and elasticity by preventing the breakdown of elastin. Mix ½ tsp of powdered ginger in 1 Tbsp of honey and consume it every morning. 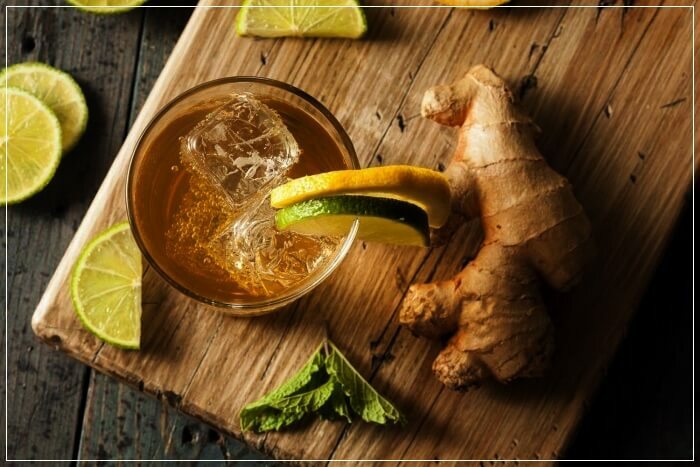 You can also drink ginger tea 2 to 3 times daily to help take advantage of its effects. In addition, add more ginger to your cooking. It should be no surprise to anyone that aloe vera is also an effective home remedy when it comes to battling aging skin. Besides the vitamins and minerals found in aloe vera, it contains malic acid, which improves skin elasticity as well as helps moisturize your skin. Extract the gel from a freshly cut chute of an aloe vera plant. Apply the gel directly to the affected areas and allow it to stay in place for about 20 minutes before rinsing with warm water. The leaves, seeds, and oils of fenugreek all work at holding off the advancement of aging skin. Rich in the necessary vitamins and minerals for maintaining optimum skin health, fenugreek is easily absorbed by the body and provides all of the necessary ingredients to moisturize skin and reduce wrinkles. Grind a handful of fresh fenugreek leaves into a paste and apply it to the affected areas before going to bed. Leave it in place overnight and rinse it off with warm water the following morning. As an alternative, you can apply fenugreek essential oil to the affected areas. Or, you can brew tea with fenugreek seeds, allow it to cool and use it as a rinse or add it to other remedies to boost their effectiveness. 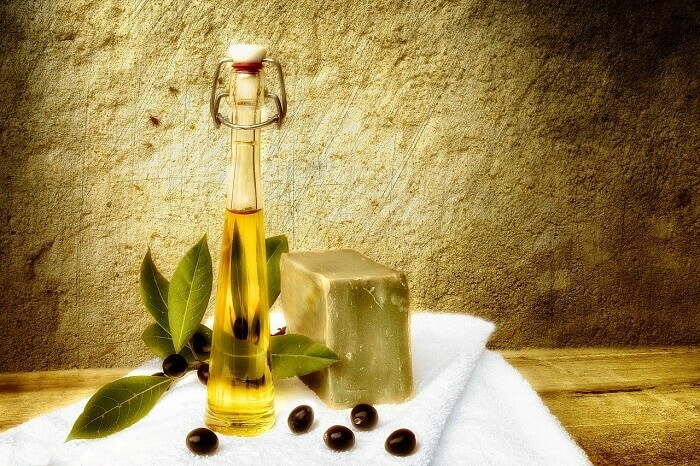 Olive oil is another great aging skin home remedy to keep in mind. 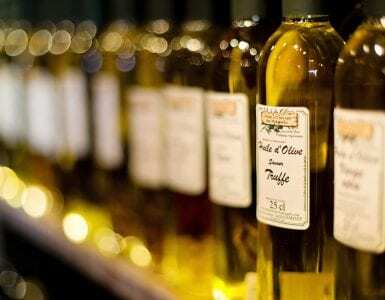 The medium chain fatty acids in olive oil include excellent anti-inflammatory properties. Olive oil is rich in vitamins A and E as well, which fight skin damage from free radicals and also encourage the production of collagen. Massage the affected areas with olive oil in a circular motion for about 5 minutes. Allow the olive oil to penetrate your skin without rinsing it off. Apply this remedy morning and night. In addition, you can add a little bit of olive oil to other remedies or mix it with honey to create a mask that you can use a couple of times per week. 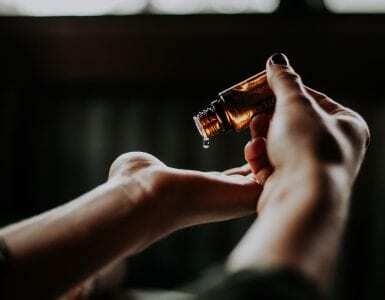 Managing your stress levels is another of the most important home remedies to consider when it comes to treating aging skin. Chronic stress tends to accelerate the onset of free radical damage and it also breaks down collagen while inhibiting collagen production. Learn and make use of stress management techniques. Exercise, such as swimming, biking, walking and yoga are often excellent stress reducers. The battle against aging skin can be greatly enhanced when you get enough sleep. Sleep not only helps to reduce stress levels, which we already discussed, but it also helps all of the systems in your body to function at their highest levels, including the production of the nutrients your skin needs to maintain proper health. Obtain the proper amount of sleep for your age range by consulting this Mayo Clinic sleep chart. Improving your diet is also a necessary home remedy which will have a critical effect on holding off aging skin. Foods rich in vitamins A, C and E are all excellent for helping to promote collagen production, get rid of free radicals and providing proper nutrients to the skin. In addition, omega-3 fatty acids will also do wonders for the health of your skin. Change cooking oils to olive, coconut or sesame seed oil. Know what foods are rich in vitamins A, C, and E and make them a daily focus. Add more omega-3 fatty acid foods to your diet as well. If you are a smoker and want to be rid of aging skin issues, then stop. 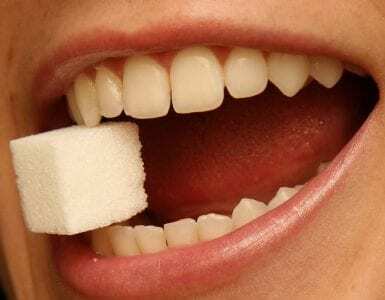 Smoking does a huge amount of damage by not only introducing more free radicals and toxins into your bloodstream, but it also inhibits the production of collagen. Get some help to quit smoking. One of the most damaging elements when it comes to aging skin comes from UV rays. UV rays sap moisture, limit collagen production and do damage to the skin when it is overexposed to them. Limit your exposure to the sun during the times of the day when it is strongest and opt for the morning or twilight hours to be outdoors. Apply UV protection whenever you have to be out in the sun for extended periods of time or even shorter periods of time when the sun is most intense. Fighting back against the signs of aging takes a great deal of dedication if you intend to hold back the inevitable. 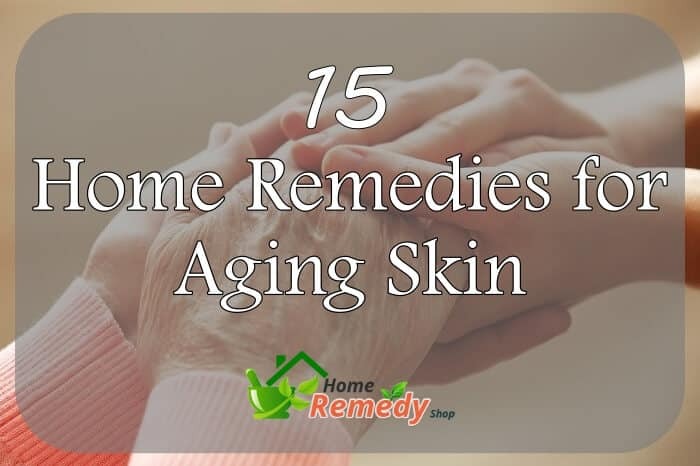 However, by using one or several of our 15 home remedies for aging skin, you will be well armed to do battle and will help preserve your smooth, younger-looking skin. If you have comments, questions or other remedies to share, please don’t hesitate to add them to the section below.